Misaligned teeth can make chewing difficult, but they can also be embarrassing, particularly if there are noticeable gaps between the teeth or a visible over or underbite. Unfortunately, for years the only way to address alignment issues was through traditional metal braces, which could be uncomfortable, restricting where food is concerned, and just as embarrassing as alignment issues. Clear braces provide an alternative, one that can straighten your teeth without the side effects of traditional orthodontia. Clear braces rely on a series of plastic aligner trays to gradually shift your teeth into better alignment. By changing trays every few weeks, you’ll be able to improve your alignment. And because the trays are made of clear, BPA-free plastic, they’re much more comfortable and inconspicuous than traditional braces. Clear braces, such as Invisalign or ClearCorrect, can also improve your smile quickly. Most patients are able to achieve better alignment in 9 to 18 months. After completing treatment, you will just need to use a retainer to help maintain your newly improved alignment. 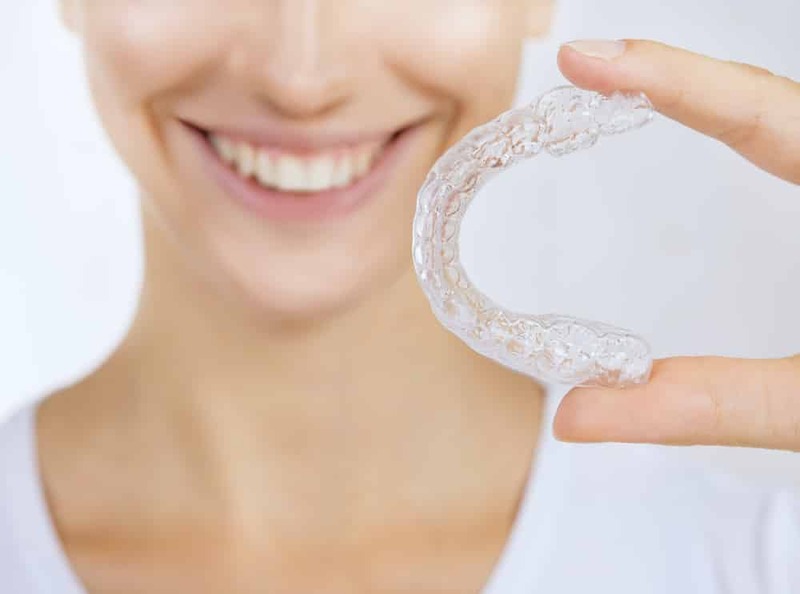 Most patients are able to adjust to wearing the trays quickly, and because there are no metal brackets or bands, you won’t have to worry about one breaking or snapping, or cutting your sensitive gum tissue on the metal. The trays should be worn the majority of each day, approximately 22 hours. But that allows you to take them out to eat. This is a huge benefit over traditional braces, which are known to frequently trap food.